Sparrow 10 oz. Cotton Gusseted Tote - 14" x 19"
Your brand’s image will take flight when they see these promotional totes! Store your groceries within these 10-oz, natural cotton canvas totes. Spaciousness is the focal point of this customizable tote; you can easily fit an abundance of items inside this tote with the help of 5-1/2" gusseted sides. 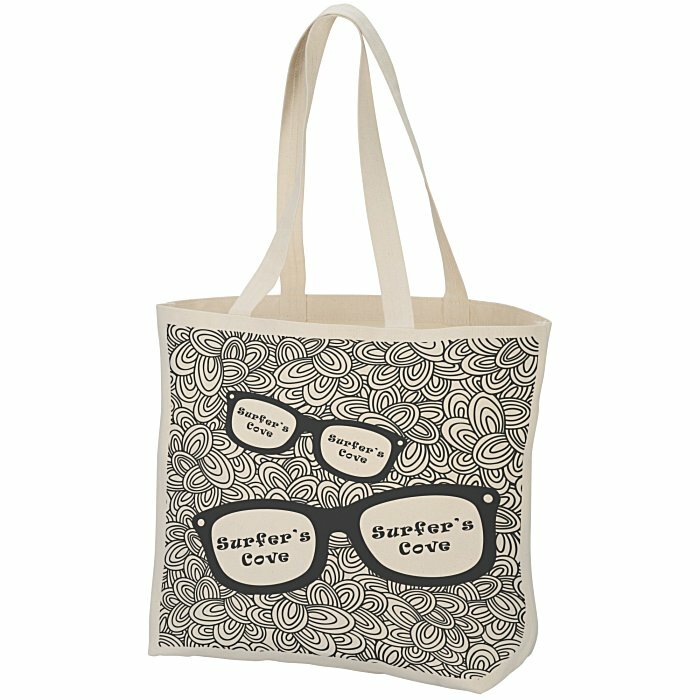 Whether you are going to the beach, going on a camping trip or attending a sporting event, this tote has you covered. Grab onto a pair of 25" carrying handles for either in-hand or over-the-shoulder carry. Size: 14" x 19" x 5-1/2". Your price includes a one color imprint on the front of the bag. Additional imprint colors/locations available for an extra charge.